Miss that chance to apologise well and the company will lose business; embrace it and the business will have a customer for life. 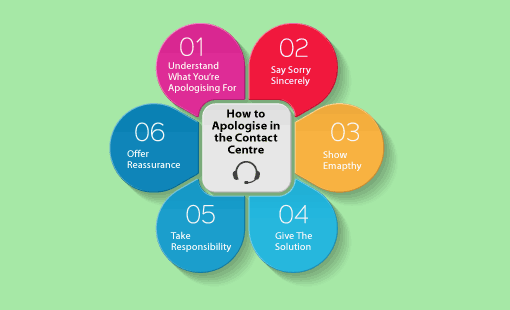 Try following these six steps to crafting that all-important contact centre apology, with extra tips for saying sorry over the phone or via live chat and email. An apology through gritted teeth is worse than none at all. It is impossible for an advisor to give a genuine apology until they have fully understood what’s happened. So it’s important to acknowledge the customer first, thank them for their contact and listen carefully. Don’t dive in with a throwaway apology just because “the customer is always right”. An apology through gritted teeth is worse than none at all. An upset customer often starts their email with the straw that broke the camel’s back. But that might not be the main issue, so the advisor will need to read between the lines to figure it out. Active listening is the key here. This is a technique where an advisor conveys to the customer that they are concentrating fully, making reference to what the customer is saying, to emphasise to them that they have the advisor’s full attention. A key part of this is to use “verbal nods” when the customer is talking. These reassure the customer that there is someone on the other end of the phone, doing their best to understand the issue. Examples of these verbal nods simply include saying “yeah” or “uh-huh” when the customer comes to the end of their sentence. 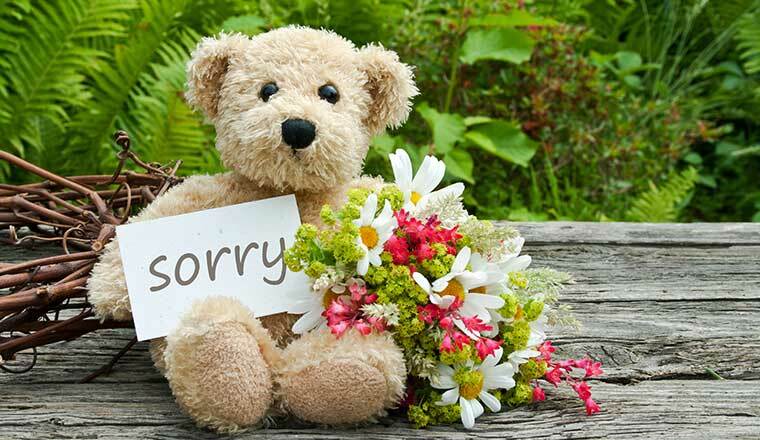 Saying sorry is the most effective way to make up for a poor customer experience. Hopefully, the team are fully aware of how to get that right before advisors launch in with a quick fix. 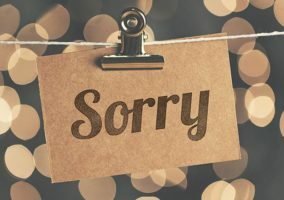 Don’t take a ‘one size fits all’ approach with: “Please accept my sincere apologies for your recent experience.” Make the apology personal, as otherwise it will lack authenticity. 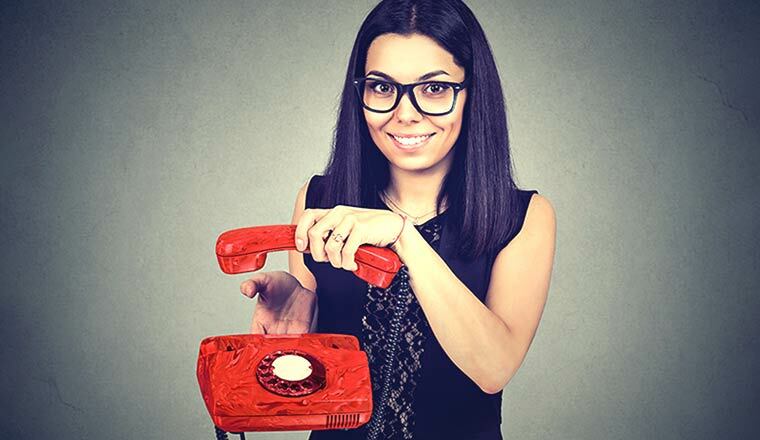 Don’t doubt the customer’s experience by saying something along the lines of “I’m sorry if our call handler was rude.” And never put things down to bad luck with “Unfortunately…”. This goes for any channel, whether it’s live chat, email or the phone. The customer has suffered poor service and they have gone to the trouble of making a complaint. They are feeling disappointed, frustrated and/or upset, so it’s important to validate those feelings. Now the customer is ready to hear the advisor’s solution. However, simply dishing out a refund will only win over 37% of disgruntled customers, as highlighted in a Nottingham School of Economics study. Remind advisors to put emphasis on the solution, rather than reverting to the problem, to try and keep the interaction upbeat. But after the advisor has said sorry and shown that they care, the chances of earning the customer’s forgiveness have already increased massively. Don’t put them to more trouble and say something like: “Please reorder your item and call our billing team to refund the charge.” Remind advisors to put emphasis on the solution, rather than reverting to the problem, to try and keep the interaction upbeat. Offering “£25 off your next bill in line with our customer promise” isn’t so meaningful, yet it’ll cost the company the same. Whether the mistake was intentional or not, the outcome is the same for the customer. They deserve an explanation of exactly what’s gone wrong, and why. This is a chance to rebuild trust, so advisors must be encouraged to be transparent. Using active language is helpful when taking responsibility, saying something such as: “I made a mistake when I debited your account.” And it’s important to be specific, to say: “I debited £143.00 instead of £14.30”. The passive construction and alien jargon included in the statement above create barriers to understanding, which can often make an advisor sound underhand. By this point, the advisor is well on their way to turning your customer’s negative experience into a positive one. But before the call ends, it is important to restore your customer’s faith in the business. Give them a reason to come back. Advisors should avoid making boastful claims such as: “We’re proud to offer our customers a first-class service.” That completely contradicts the customer’s experience. But advisors should avoid make boastful claims such as: “We’re proud to offer our customers a first-class service.” That completely contradicts the customer’s experience. Wrapping up by thanking the customer again, and signing off with their name, is great practice for a contact centre advisor. Doing this shows accountability and a personal commitment to putting things right. And if things have really gone right, the customer will drop a line or make a statement to personally thank the advisor for their help. Do you agree with this six-step process? Let us know by sharing your thoughts in an email to Call Centre Helper. Thanks to Tamara Carlier, Trainer & Coach at The First Word, for helping to put this article together.